Elbow: Band Member and Producer Craig Potter | Tape Op Magazine | Longform candid interviews with music producers and audio engineers covering mixing, mastering, recording and music production. Elbow is one of those rare bands that seems able to do everything well. If I didn't love their work so much, I might even despise them for it. The perfect blend of abstract textural elements and great songwriting, Elbow's records represent a band rife with creativity and musicianship, well suited to Guy Garvey's beautiful voice and exceptional lyrics. Elbow has self-produced and engineered their last two records — 2006's Leaders of the Free World and 2008's The Seldom Seen Kid. The Seldom Seen Kid has all the hallmarks of self-production and seemingly none of the drawbacks — there's no sense of "lo-fi" or haphazard production here. This Mercury Prize-winning album is as meticulously crafted as a record comes, but doesn't suffer from a lack of soul or feeling. 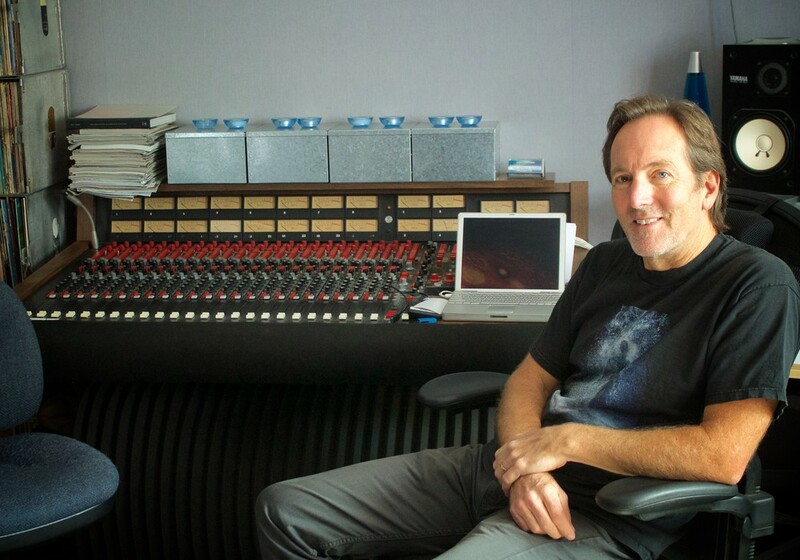 During their tour this summer, I was able to meet up with Craig Potter, Elbow's keyboardist, resident engineer and the producer of The Seldom Seen Kid. The band as a whole was credited as having produced the previous album, Leaders of the Free World, but on this record you ended up with sole production credit. How did that come to be? All the Elbow records have a very distinct character about them. Your debut [Asleep in the Back] sounded so confident — it sounded like you knew exactly what you wanted. I suppose we were lucky to not get signed until we were good, because we weren't good for a long time. We've been together for eighteen years now. Did the band work on an album before being dropped by Island Records [before the release of Asleep in the Back]? We did, yeah. Steve Osborne recorded the entire album, and we got dropped before releasing it because of takeovers and the money things. It was really frustrating. 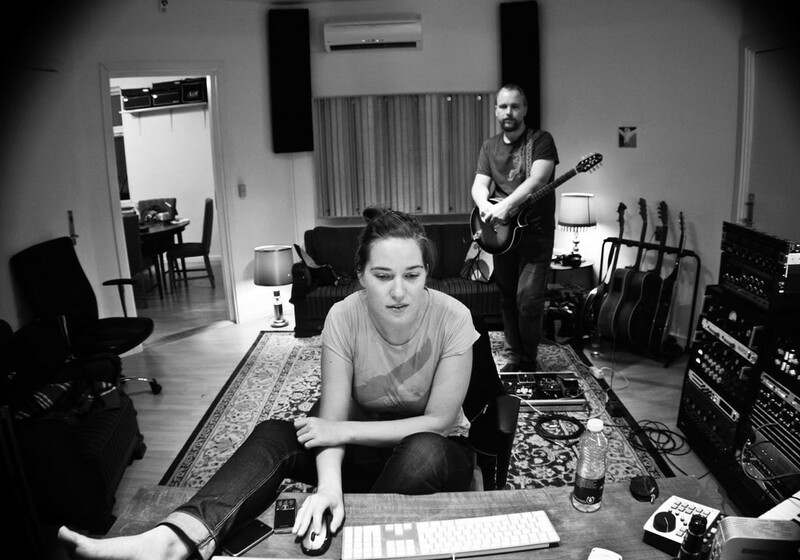 Do you think that studio experience helped you shape Asleep in the Back? 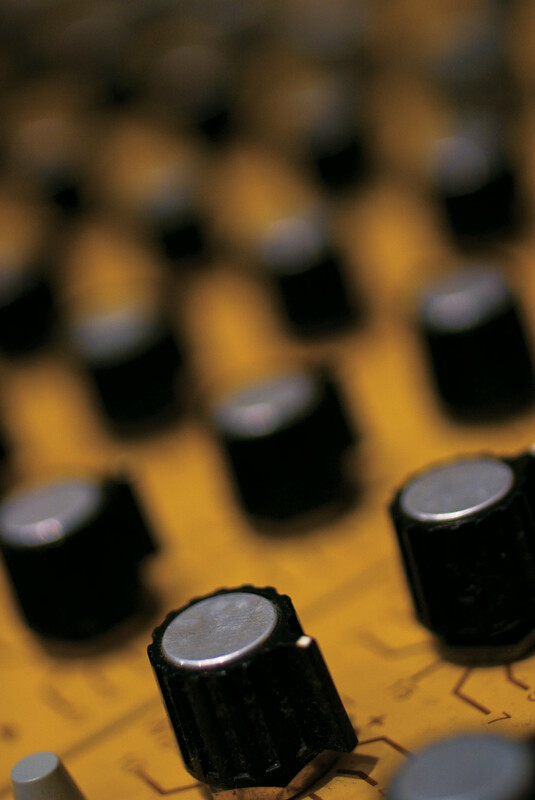 It must have — it is experience, and experience plays such a big part in production and mixing techniques. It's all about experimentation. I don't know anything about the technical side of things. I know people who have gone to technical colleges, and you still need a good four or five years of experience. A lot people start off in a traditional studio as an assistant, but you got to learn a lot of that while working with the band. I imagine it's difficult to juggle those roles as musician, the producer and engineer. Yeah, it was us five [recording The Seldom Seen Kid] - the whole thing. [Drummer Richard] Jupp actually took on engineering. Everyone took his own role. You guys did Leaders of the Free World and The Seldom Seen Kid at Blueprint Studios [in Manchester]. I understand that you guys rented a big space and holed up for a while? Yeah, they have a massive room. We did it all in that room, except for mixing some stuff in L.A. at the end of the sessions. Blueprint Studios hadn't really been built until we started [The Seldom Seen Kid], and is actually on the floor below the big room. We were lucky to get that room to ourselves for Leaders of the Free World. It was really great — but a bit weird trying to get mixes together in there. Their studio is up and running now, so we can't use that room but for the odd day here and there. We do a lot of re-amping and that sort of thing. It's really great to chuck a few amps up for a couple of hours and try different combinations and mics. We get to play in there as well, but not all the time. It's made the record sound different — we used the stairwell. We've got a little room now, but the stairwell sounds better than the big room for drums. I wish I'd known that for Leaders of the Free World. [laughs] It's a little bit more pleasing. How do you maintain your focus and not get bogged down with all that time to tweak and refine things? We probably flip between songs a lot because we can. We do everything in Pro Tools, so it's all in the box — mixing, all the way. I don't have any outboard gear at all. I've got cheap [Focusrite] OctoPre preamps for recording. That's what you used to track the record? Yeah, and [the mix] was bounced to disk. It's great because we can flip from song to song and it's all there. We enjoy working like that because if you get stuck on a song, it's no big deal — you don't have to finish it that day. You've got all the outboard gear set up. I don't even have a desk anymore. It looks rubbish, actually — it's a computer screen, a mouse, a keyboard and two speakers. People come over and say, "Where's all your stuff?" For me, good monitoring and a good room are the most important things. The difference between good mic pres and cheap mic pres is absolutely nothing in the big picture. It makes a bit of difference, maybe, and I probably don't experiment as much as I should, but it doesn't make enough of a difference. Do you have any interest in producing other bands, or is this something that would only work within Elbow? I'd love to go into producing other bands. It'd have to be something I really loved. I wouldn't want to do the local band that is just okay, for the money. If a band approached me that I really loved, I'd do it, but there isn't the time at the moment. It's definitely something I want to get involved with in the future. Since you track and mix everything in the box, do you carry a laptop with you on the road for tracking ideas? Yeah, we just finished a b-side. We've got an [Digidesign] Mbox and a laptop. We record a lot of b-sides and things like that. We recently mixed one in a dressing room on a little iPod portable stereo. We had to send it off that night. The track is called "Every Bit the Little Girl", and it's the b-side on the "One Day Like This" single. The main mix was done in our studio, but we were overdubbing backstage in Dublin or Belfast. We all stood around and did the vocals. It sounds like it's completely separate — it's quite charming. It sounds like we found a recording of these people singing along and put the music to it, but it works really well. It's a bit rough, but it's nice for that. I understand the beginning of "Grounds for Divorce" is sort of the same concept. The little snippet at the start of the song is a recording of a rehearsal, right? Yeah, exactly. We do that sort of thing all the time. It's a really simple, blues sort of jam and it's a couple of bars looped up from a mic on one of these things [points to the M-Audio MicroTrack being used to tape the interview]. How has producing the last two records yourself changed your recording process? The main thing is the simple process of getting ideas out. Because all Guy's got to say is a few descriptive words, and I know exactly what he means. He can go away and work on something else, and I can come up with exactly what he had in mind. It's a much quicker process because we know each other so well. Working with other people is great — and we're not going to rule out working with other people — but we're all really on the same wavelength. So you're practically reading each other's minds at this point? I understand that some of the recordings on Cast of Thousands started off as demos, and then bits and pieces of those demos actually made it to the record. That's true of all our recordings, actually — not just Cast of Thousands. Bits from original ideas end up in songs. There aren't really demos anymore, with the doors of digital open. Sometimes we sit around and play live, and you need that to get that vibe. A lot of times we don't — we build and build and build. So in that instance, it's building on the first idea you think of. It's an earlier stage of the song, not a demo. It seems you always make a point of emphasizing the sound of the room in your recordings, like Guy's high vocal in "Picky Bugger" [from Leaders of the Free World]. Yeah, that's a rough mix, that one. [Ben] Hillier was shocked by that. It's a really close vocal for most of the track, and the "little fish" line was recorded with a mic that was twenty feet away — no close mic. When we went to mix he said, "Is that it, then?" We said, "Yeah. Sounds good, doesn't it?" You have to be bold with things like that as well. A lot of people would mic it with three different mics but then you end up using it and it sounds like everything else. If it sounds good — do it. So only recording the one mic was completely intentional? Yeah. Most likely Guy would been across the big room and said, "What do you think of this?" and sung the line. I would have said, "Yeah, sounds great." We would have put up a mic from across the room and that would have been it. I imagine the huge [Hammond] B3 organ on "I've Got Your Number" [from Cast of Thousands] is sort of the same concept — the sound of a B3 in a large room. That was actually two Leslie cabinets — one mic'ed up and also fed to another in a stone room to give it a mix of spaces. That was Ben Hillier. He co-produced Cast of Thousands, and he's great. We'd love to work with him again — we really learned a lot from him. Do you ever use any sort of artificial reverb, or is it all the room? Most of the time I'd say it is the room. I use [Audio Ease's convolution reverb] AltiVerb a lot — it's pretty much my favorite [artificial] reverb. But if you hear something that sounds like a room, it most likely is. How much layering of subtle (and not so subtle) textures are you trying to recreate in sounds you imagine, and how much of it is throwing stuff against the wall to see what sticks? Lately we've been doing much less throwing against the wall. It's probably a producer's role to really imagine it before you set up the mics. Someone says, "We need this sound" and you go about picturing how you're going to get that sound. It's an important skill to have. Have you ever had a song that came about solely from an oddball sound? With all the attention to texture, do you have any favorite pieces of gear you go to frequently to get sounds? Yeah, I'm a bit of a re-amping junkie. Anything that can add that extra little bit of space to something. Even if it's odd, I'll give it a go. There's a little trick I've picked up and I quite like it — it's on "[The Loneliness of a] Tower Crane Driver". There's a synth string part; it's quite straight, and it's scary because of it. A lot of that sound is the big room. I ran the synths through either [Fender] Twins or [Vox] AC30s in the big room, about thirty feet apart, with mics on opposite ends. It doesn't always work, but if you shift the left and right channels back a couple of samples, you get this really nice, thick out of phase sound. I spent a lot of time trying to move things out of their traditional pan position. Guy listens on headphones more than I do, and I didn't even really check it on headphones until the record was finished. I realized that some of the panning was more extreme than I'd done in the past. Guy mentioned that you built up the percussion track on "Weather to Fly" by pounding on the piano. Yeah, the "kick drum" sort of sound was built up by pressing and releasing the sustain pedal on the piano. It's like that old horror movie trick — hold down the sustain pedal on an upright piano and slam the lid. I recorded Jupp pressing and releasing the pedal in time with the song and built up the rhythm track that way. The bass sound on "The Bones of You" — I'm assuming that was a synth? Yeah, it was a microKORG — double-tracked and pulled slightly out of phase again. Fucked up in some way — I can't remember. It's got a bit of a stereo thing going on. I wanted to do it straight up stereo, but it didn't work, so I panned them both center. On "The Everthere" [from Leaders of the Free World] there's a guitar part that sounds a bit like a banjo with a really saturated delay panned opposite. What is that? It's a banjo, yeah, and the percussion [setting] on an organ. The banjo is the front end of it, and you really only hear the organ in the delay because the banjo is so in your face. Guy sang me the line — it's quite a weird rhythm — and then we tracked it with Guy playing banjo and me following him on the organ. At what point do you think, "There's nothing more to add to this song?" It's nice for that to be quite soon in the process. It really varies. "...Tower Crane Driver" on the new record — we sat around the room and worked out the structure and the sounds. If you listen to the original recording, it's very similar. We rerecorded the drums in a big room, thirty feet away. Some things take a bit more work — sometimes lyrically. It could be the best piece of music we've ever written — if the lyrics don't stand up, it won't get used, which is a bit of a shame sometimes. Guy is such a great lyricist that you've got to keep the standard up, no matter how good the piece of music is. As far as saying something is ready to mix, we pretty much mix as we go along. Sometimes, when we finish recording, it's almost mixed. There might be a few things I may have had in mind that I wanted to do, but it usually only takes a couple of hours to finish mixing. There's not weeks set aside to mix, songs get finished when they're finished. It seems like this is the type of band to put a lot of effort into the sequencing. About halfway through [The Seldom Seen Kid] we decided to start working on the album in an order. In each Pro Tools [song] session we actually put in the song before it, so we could listen to the last bits and we could see how the songs would flow together. In fact, the background vocals in "An Audience With the Pope" inspired the first line in "Weather to Fly". We wanted that sound to continue somehow and it felt right. It seems you've taken notice of the loudness wars. I thought it was interesting that in The Seldom Seen Kid liner notes you reference turnmeup.org.